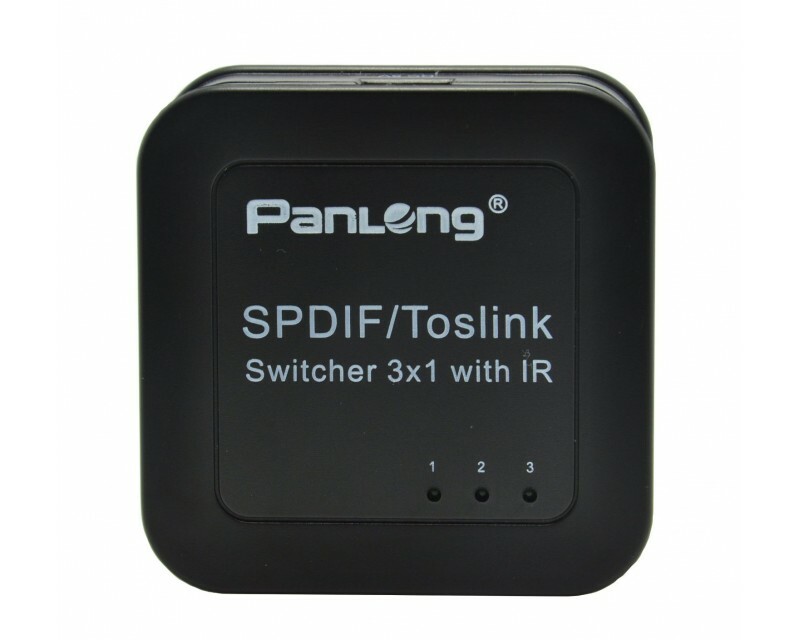 This SPDIF/TOSLINK Digital Optical Audio Switcher allows user to conveniently switch among three digital optical TOSLINK sources. 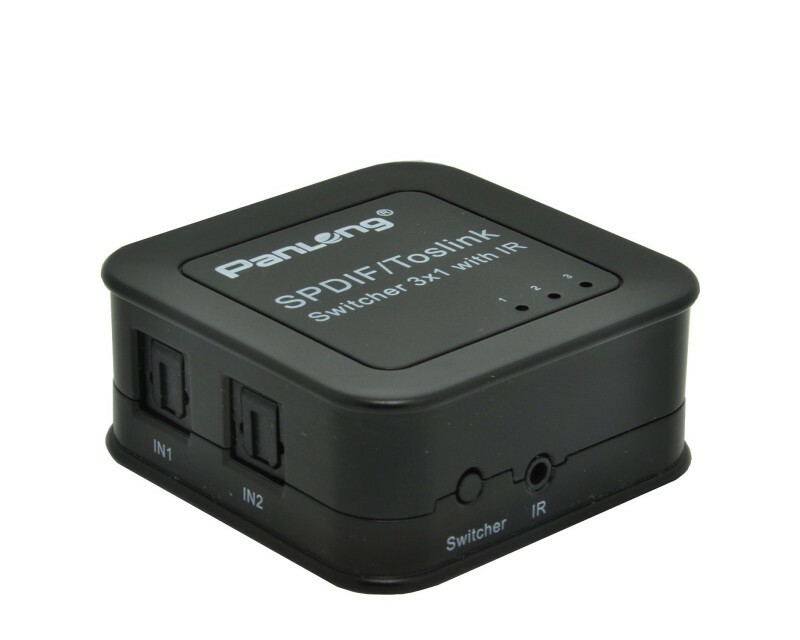 It utilizes integrated circuits to perform seamless and reliable switching flawlessly without degradation. 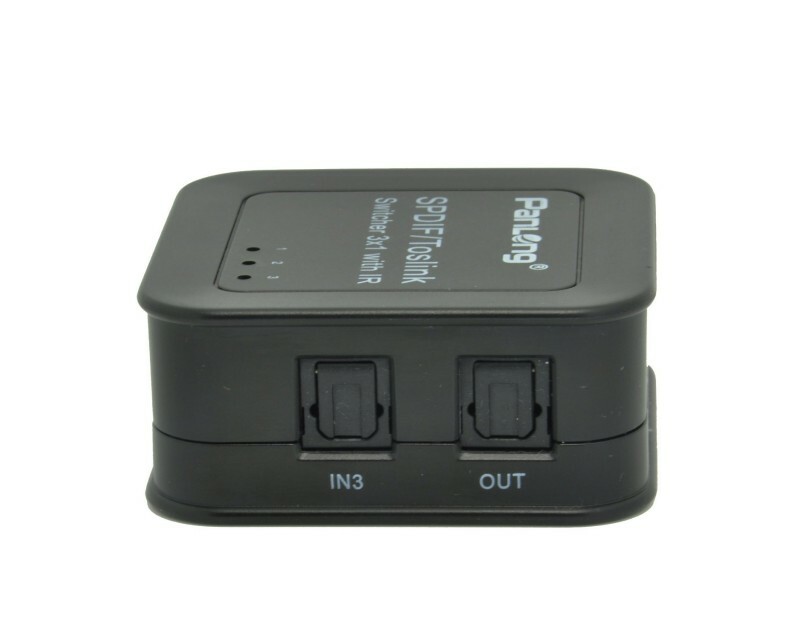 It can be placed out of sight with the included IR receiver. 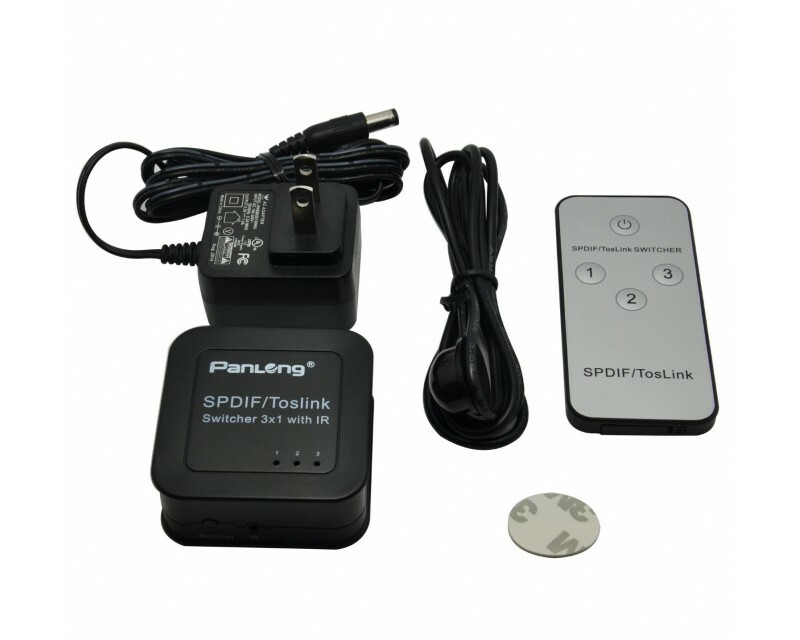 Other features include signal retiming support, Power-off memory, Over-voltage protection, and LED status indication.